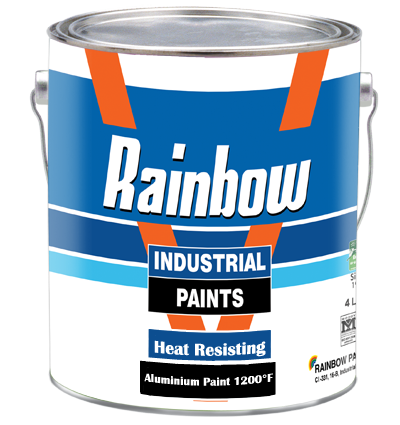 The product is formulated to provide high heat resistance up to 1200°F suitable for Chimneys & Furnace door etc. This is also gives brilliant silver finish. This is a single pack product. Covering: 10 Sq. Meter / Ltrs. Film Tickness: 30 Micron DFT preferably two coats are applied. Application: Conventional / Airless spray. Finish​: Metallic silver. Colour: Silver.